For the fifth time we will be back in the heart of Lissfors. The location offers a great logistic setup and a perfect learning environment with an opportunity to create a technical slalom course. If we’re lucky to get enough water we will take the cross and downrive disciplines to the famous and technical Fänforsen. We will find a winner in each sport and the person who collects the most points across all sports during the event, will be claimed The Great Waterman of DWWG 2018 (Men & Women respectively). NOTE: It is not required to compete in all sports to participate in The Great Waterman competition. As soon as you compete in more than 1 sport you’ll be part of The Great Waterman competition. The DWWG is also the National Danish Championships and all Danish teams and athletes will be ranked according to their finishing position. The Danish White Water Games is organized and recognized by the DSRF in cooperation with Copenhagen Watersports, however the event is entirely run by volunteers who also compete, so you will be asked to help with different tasks during the event, such as judging, timekeeping, safety (if qualified) etc. NOTE: If we have less rafting teams than expected we will open up for more athletes in the other categories. You can coordinate transport with other competitors in the Facebook event. We’ve made a special deal with Kajaktiv AB and everyone will stay at the event base which is located just 50 meters from the river. The accommodation is already paid through your race fee (Friday to Sunday) (If you want to arrive earlier than Friday you pay 150,- kr. extra per night – please see registration). However, there are only beds/indoor sleeping for 32 participants and the indoor sleeping area is allocated to the first people that sign up for the event. The rest need to bring their own tent. If you want to sleep in a tent outside or do not need accommodation please give us this information in your registration. Facilities at the place are toilets, sauna, lounge, kitchen and Wi-Fi. Breakfast and dinner (Friday to Sunday) is paid through your competition fee. You will need to handle your lunch individually. In terms of special needs of food please provide us with this information when you register. The organizers will provide rafts, SUP boards and leash + paddle for SUP and standard slalom kayaks + creek boats + paddle. Your welcome to bring your own kayak however for the kayak cross discipline a Creek-boat must be used. Individual equipment goes as; PFD, helmet, paddle, throwbag, flipline, knife and suitable paddle clothing’s depending on weather conditions (expected water temperature is 12-15 degrees C) . Every raft has to carry 1 throwbag as a minimum during the competition. Safety during competitions will be arranged by the race organizers however all participants will be required to help. Instructions will be given during the safety briefing before race start. It is required that all participants can take care of themselves in a white water environment. This includes: You must be able to swim at least 500m and kayakers/canoers must be able to pull themselves out of the boat. You do not think you have the skills that qualifies you to compete in a white water competition please contact us and we might be able to give you these qualifications before the event. The race officials reserve the right to deny participants who do not meet a certain level of white water skills. We will update the program here as soon as we have this ready. Expect the program to start at 8am Friday 14th and competitions from around noon. The mandatory race fee is 700,- DKR (includes competition fee, accommodation and food (breakfast and dinner, Friday to Sunday, but not lunch). + 100,- DKR race fee per each compeeting discipline. I confirm that I can swim at least 500 meters and that I have a certain level of white water experience. I declare that my participation in the race is at own risk and that Copenhagen Watersports and DSRF can not be applied any liability of any kind. Including liability for any injuries that I incur myself or others in the race. I declare that I am healthy and that I am not suffering from any serious illnesses. I agree to that photos, film footage, interviews, advertisements etc. during the event can be used freely. 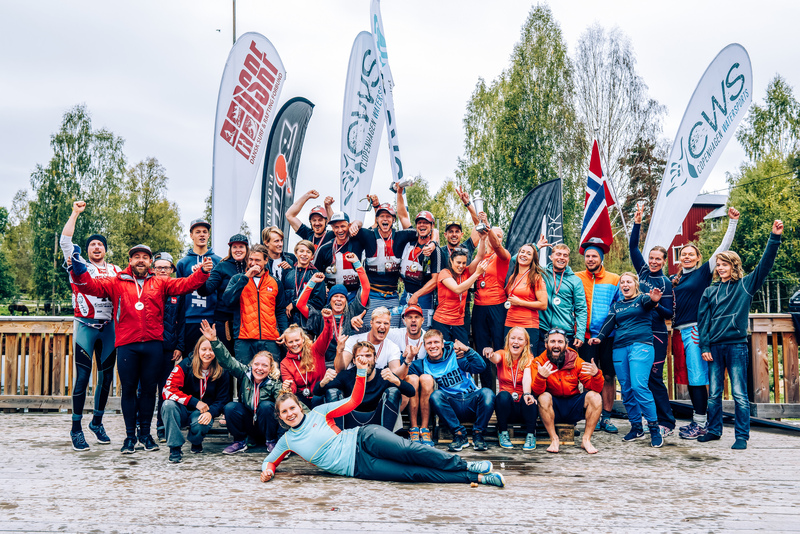 Copenhagen Watersports and DSRF takes no responsibility for personal or material damage, including theft during the event.